Why do judges disagree and publish their disagreements when cases get decided? After all, the Cabinet does not do so (openly at least), and our FTSE-100 companies do not generally do so, when their executives propose a merger or launch a new product. Surely, judicial dissent is a recipe for diminishing the authority of the majority answer, and an invitation to self-indulgence on the part of the minority to re-fight lost and irrelevant battles. Lord Kerr has given a very persuasive answer to both concerns in the Birkenhead lecture on 8 October 2012. But it is worth thinking about the alternative way of doing things, before making up your mind on whether the current way is the best way. I view with apprehension the attitude of judges who on a mere question of construction, when face to face with claims involving the liberty of the subject, show themselves more executive-minded than the executive……..In this country, amid the clash of arms, the laws are not silent. They may be changed, but they speak the same language in war as in peace. It has always been one of the pillars of freedom, one of the principles of liberty for which on recent authority we are now fighting, that the judges are no respecters of persons and stand between the subject and any attempted encroachments on his liberty by the executive, alert to see that any coercive action is justified in law. In this case I have listened to arguments which might have been addressed acceptably to the Court of King’s Bench in the time of Charles I.
or Lord Denning’s brave cry for a general law of negligent mistatement in Candler v. Crane Christmas, triumphantly endorsed by the House of Lords a decade later. So if judges really believe that the majority has got it wrong, then they should say so, even if they are in a majority of one. Nine times out of ten, that will be that – the battle has already been lost, but on the odd occasion, the eloquent dissent will find its moment. Up until now, the Court has, in matters concerning the extra-territorial jurisdiction of Contracting Parties, spawned a number of “leading” judgments based on a need-to-decide basis, patchwork case-law at best. Inevitably, the doctrines established seem to go too far to some, and not far enough to others. As the Court has, in these cases, always tailored its tenets to sets of specific facts, it is hardly surprising that those tenets then seem to limp when applied to sets of different facts. Principles settled in one judgment may appear more or less justifiable in themselves, but they then betray an awkward fit when measured against principles established in another….. The truth seems to be that Article 1 case-law has, before the present judgment, enshrined everything and the opposite of everything. In consequence, the judicial decision-making process in Strasbourg has, so far, squandered more energy in attempting to reconcile the barely reconcilable than in trying to erect intellectual constructs of more universal application. A considerable number of different approaches to extra-territorial jurisdiction have so far been experimented with by the Court on a case-by-case basis, some not completely exempt from internal contradiction. My guileless plea is to return to the drawing board. To stop fashioning doctrines which somehow seem to accommodate the facts, but rather, to appraise the facts against the immutable principles which underlie the fundamental functions of the Convention. But the great exception to the rule in favour of dissent is of course the EU Court, and in case you are wavering on whether dissent is a good idea, read on. The CJEU is drawn from judges from all the EU countries, and is the supreme adjudicator of EU law, which, as I pointed out in a recent post, is tentacular in its reach – with human rights issues arising endlessly. The CJEU only gives one judgment. But how does it do it, given that there may be up to thirteen judges sitting on one case? Surely the Brits can’t agree with the French, and the Germans, and the Greeks and the Latvians, all the time. Well, I don’t suppose they do, but their disagreements may become suppressed into the “agreed” judgment. As we all know, there are many ways of deciding the same case in the same way – with wildly different reasoning leading to the same end. And drafting that into an agreed judgment must be a nightmare, even if you agree on the answer. The exercise must be to come up with the irreducible minimum which the court can say to give its answer, hence a text which everyone can agree on, even though that may come across as rather bland. Ultimately, if a judge does not agree in the result, he or she may vote against the judgment – but the reasons for this, and the nature of any division, will never surface if they are out-voted in the result. It sounds terribly corporatist, but it is all to a purpose – and it is the way that civilian law countries go about things in their own judicial systems. The idea of a judgment is to answer a question or series of questions. It is to help parties to work out how the result in the next case should be arrived at – not to give them multiple PhD theses on the topic which send the lawyers into ecstasy but everyone else into puzzlement. And therein lies part of the danger of the UK and Strasbourg system. All judges can write their own opinions. This happens as much if not more with concurring judgments, as with dissenting ones. If there is a sharp difference between two concurring judges (say, one rubbishes the human rights claim but rates the legitimate expectation claim, and the others do vice versa) then this has to be articulated – even though the later courts may find it difficult to decide just what is the binding element of the decision – the precedent which later courts may have to follow – depending where they are in the system. But if two or more judges are saying essentially the same thing in their different language, then why say it twice? Because it just encourages lawyers like me to argue that in fact they may be saying rather different things – so I claim that the majority is not as unanimous as it may seem. I readily understand the intellectual discipline which writing a judgment requires – making sure that you have indeed got to the right answer in your own way – but what about spiking it when your judicial colleague has really arrived at the same conclusion? Or agreeing that the particular differences between the judges don’t matter, and so that only one majority judgment is needed (even if it has bits of two judges’ texts in it). I am sure this happens all the time in Parliament Square (see Lord Kerr’s account of how drafts go backwards and forwards between the Justices in the Supreme Court there), and indeed the Royal Courts of Justice (between judges in the Court of Appeal), but more often and more copy left on the editing-room floor, please. So, like most UK lawyers, I suppose, I support strongly the right to dissent, even though it comes at a cost – namely that of having to comb through more judgments than might appear necessary at first glance. At least you should know where all the judges stand once you have done it. And you don’t end in the situation in O’Byrne where an unclear committee-drafted remark by the CJEU in round one means that the parties have to go to Luxembourg for a second time. More fundamentally, how could Lord Atkin (believing what he wrote in his dissent – see above) put his name to a judgment which said precisely the opposite? I think dissents are of obvious importance in helping develop the law. Parliament may of course wish to legislate on any point considered by an appellate court and might decide that it prefers the dissent. Or at the least a dissent will be of interest to the law commission or academics or anyone else considering the relevant area of law. I was present at the lecture and a point made in the subsequent discussion (and reflected in David Hart’s post) is that more problems can be created for later litigants by concurring judgments giving different reasons for an agreed result. As a recent example, see the judgment (interestingly, in the circumstances, the judgment of the court) in MoJ Lithuania v Bucnys  EWHC 2771 (Admin) considering the differing judgments and reasons of the Supreme Court in Assange v Swedish Prosecution Authority  2 WLR 1275 on the meaning of ‘judicial authority’ in the EU Framework Decision on European Arrest Warrants. Surely, a judge who, after listening to the competing arguments, still differs in his opinion from his fellow judges, is obliged to dissent, even if he gives only short reasons for doing so, otherwise he is not being true to his judicial oath. 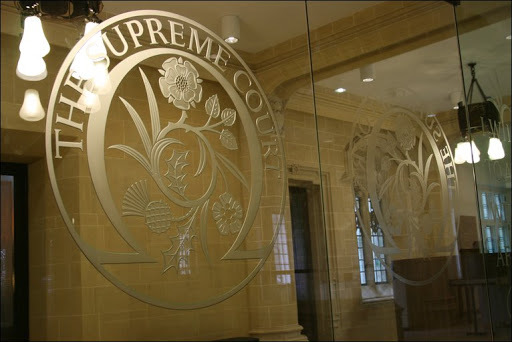 Which calls into question the practice of the Court of Appeal (Criminal Division) in giving a single judgment, thereby concealing any dissent there may have been among the three members of the court. Instead, we have the not infrequent position of a subsequent 3-judge division of the CACD coming to a different view of the law from a differently constituted division of the same court in an earlier case: see, for example R v Clarke  1 WLR 223 and R v Magro  3 WLR 1694, resolved last week in favour of the view of the court in the latter case, sub nom R v Varma  UKSC 42. On the day which celebrates the Battle of Hastings and the imposition of Norman law into England, it seems to me an apposite time to reflect on the differences of law systems that we have enjoyed and endured over the centuries in the British Isles – not just England. And of course we have not just civil law but church law and sharia law too. The question of legitmacy is ever present whether it be the old custom of Habeas Corpus and then codified much later into English legal system, or Magna Carta – the “Great Charter” for which King John is so famously known for sealing, not signing – or indeed Simon De Montfort and his legacy of our parliamentary system, albeit much changed, which gave a voice to countless people who would otherwise ramain silent. King Charles I of England did not accept the authority of the Court set to try him. The signatories to his execution are known as regicides. Was this a legitimate Court in any respect? It was claimed that he had made “war on his own people”. Did this then give others the right to create a court to try him? When does it become legitimate to set up new Courts? On whose authority? And to delete such courts? To come to the present, we now have a multi-organisational set of systems in the United Kingdom. England has its own set of laws, as does Wales, Northern Ireland and Scotland. And in the wider British Isles the Isle of Man, Channel Islands and Ireland all have their own legislation. But this is where we get problems I aver when we are considering the European Union legislation and European Human Rights leglislation because there are major differences in the way that they work. And then there are other countries where Queen Elizabeth is Head of State and their judicial processes and reviews can and do influence the Court decisions made in the United Kingdom – a very important factor not to be forgotten. If Judicial freedom is to mean anything at all, then surely it is to be considered important that there must be permission to record dissent from the majority view? For otherwise it becomes a dictatorship where only one view is permissible? Can this really be right in a democracy? I believe that you are right in coming to the conclusion that you have that it is essential for us to know what the lawgivers decree as well as the law enforcers decree and the Judges who preside in judgement. And why Secret Courts should never be permitted for that way chaos and an undemocratic state lie.